Gute Vermittlung von Basiswissen. Die beschriebenen Beispiele sind einfach aber wirksam. Un ouvrage vraiment utile,clair et didactique. Ecrit par un passionné pour des passionnés. Merci Saul Kirsch. Excellent work, very useful to compete effectively on its website are very good products. I will remain a customer. Trés bien fait où les tireurs de tous niveaux trouvent l\'occasion de progresser. Il libro è fatto bene, da ottimi spunti per l'allenamento e buone nozioni per chi inizia l'IPSC. First of all congratulations for very fast shipping. The Perfect Practice Book is a very interesting tool for advanced and beginner shooter. Thanks saul. 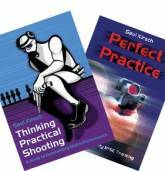 Perfect Practice is Saul Kirsch's first book and the ideal guide to quality IPSC training. 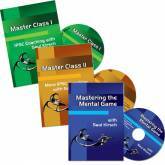 Created from Saul's own personal practice know-how, over 50 carefully crafted practice drills ensure you acquire all the knowledge, tips and skills necessary to excel. Accuracy and recoil control , Calling your shots , Improving your draw , Reloads , Shooting position transitions ,Barricades ,Shooting on the move , Swingers, and more. Each topic contains detailed insights into the attitudes and techniques critical to success. Each drill is explained in depth - how to shoot, what you learn and how to keep track of your progress and learning curve.